Located in beautiful Daytona Beach, Florida, this spacious resort offers an ideal beachfront location close to all the action, full modern amenities and plenty of activities for both children and adults. An ideal destination for a sunny Florida vacation with the family, this Daytona Beach resort is within easy walking distance to numerous opportunities for shopping, dining, entertainment and nightlife. 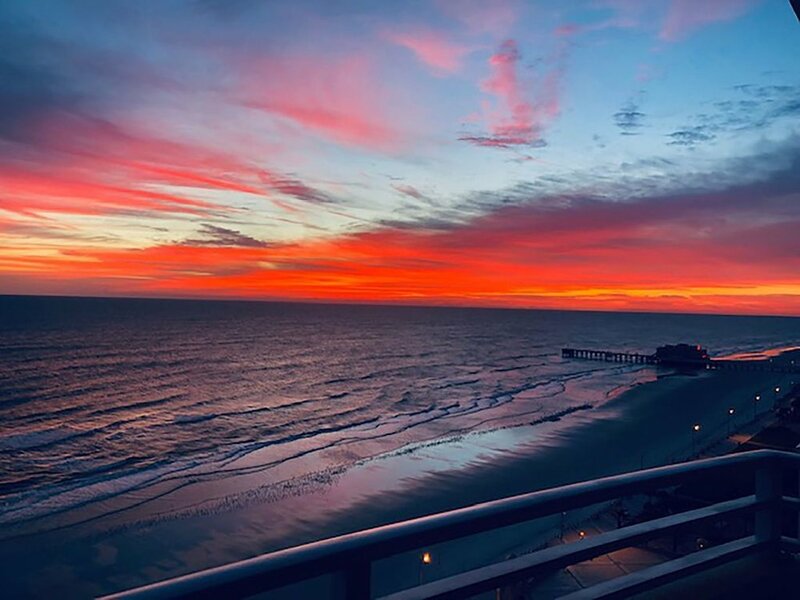 A modern high-rise property situated on gorgeous grounds with breathtaking ocean views, Wyndham Ocean Walk offers an unbeatable beachfront location that makes it easy to access all the attractions of Daytona Beach. 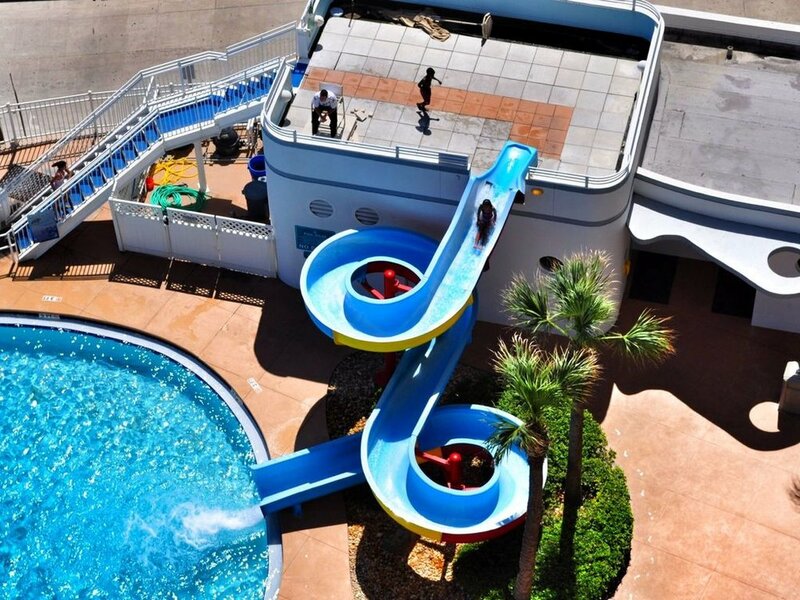 Our guests love the incredible indoor and outdoor pools, with special play areas and kiddie pool, two outdoor pools, lazy river, water slide, two indoor pools, and a bar overlooking Daytona Beach for the adults. Relax on a chaise lounge and listen to the sound of the ocean surf, or take advantage of numerous activities, from volleyball and miniature golf to pool tables, gift shops, and game room. Enjoy free parking and free high speed Wi-Fi. With a 24-hour Front Desk, fitness center, concierge and activities desk, Wyndham Ocean Walk offers everything the modern family needs for an incredible beach vacation.